Mac OS X has a myriad of multi-touch gestures that have been expanded upon in modern versions of Mac OS X, and one of the better gestures is the two-fingered swipe left or right to go either back or forward in a wide variety of apps. This gesture is borrowed from the iOS world and it’s quite useful as a back / forward quick action. You’ll obviously need a trackpad or Magic Mouse to be able to use these, and they’re supported in a fair amount of Apple apps like Safari, Dictionary, iTunes, App Store, Launchpad, and just about any other app where there’s a forward or back button. This gesture can replace the back button basically. This gesture offers an alternative to the forward button. For browsing, the gesture can be much faster than navigating to a back or forward button since all it takes is a quick flick to activate. Unfortunately not all apps support the back/forward gesture yet, but with heavy iOS influences coming to the Mac you can bet more and more apps will support this and others soon. Many iOS apps support the same ability. On a side note, if you’re used to hitting the Delete key to go back a page in Safari and don’t want to use a gesture, that behavior can be restored to the Delete key with a defaults command. 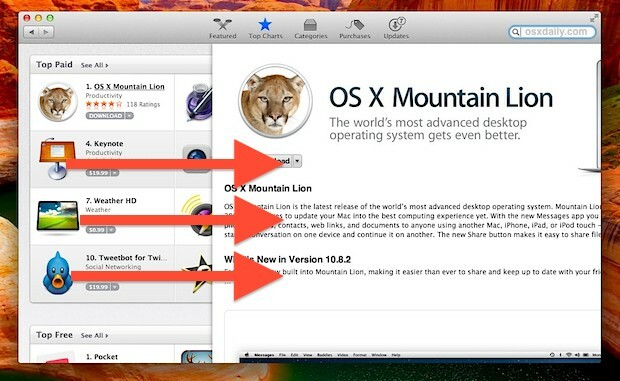 This works in Mac OS and Mac OS X beyond versions 10.8, anything modern will have this ability. I couldn’t believe it took them so long to implement it on the app store. I know it still wasn’t working on the original 10.8 release. I think the swipe was added with the 10.8.2 update. You’re right Adam, it wasn’t enabled before the last update. I too found it bizarre that it wasn’t working with the release of the App Store. Now if only we can get it onto the iTunes store, we can have it across the board. Then again, I believe the App Store should be removed from iTunes. One finger swipe for me on my mouse to go back and forward. Two finger swipe gets me the dashboard.